Teaching can be the toughest job you’ll ever love. 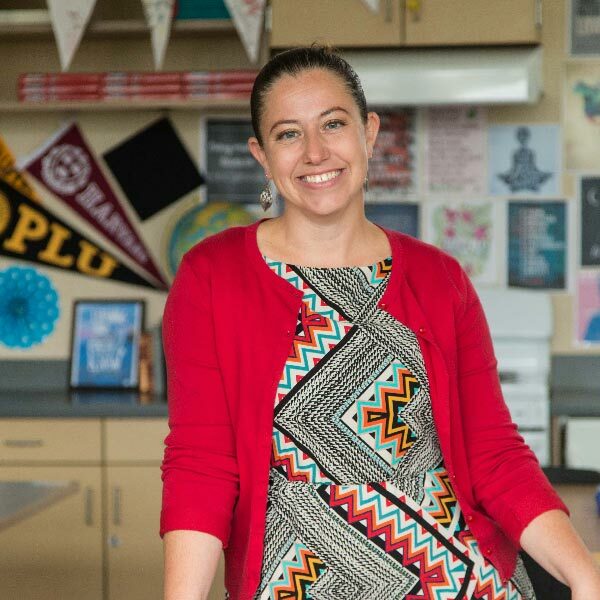 Cook and others who have completed their graduate work in education at PLU say the program equipped them to deal with both the highs and lows of classroom life. And they credit the close working relationships they were able to build with experienced faculty. “I love the fact that you are dealing with people who either work in a public school setting or have had 25-plus years of doing so,” said Larry Kennedy, who completed his master’s degree in education at PLU and began teaching at Camas Prairie Elementary in the Bethel School District in 2014. The one-year program is filled with intensive coursework focused on the foundations of education. At the end of a year, graduate students earn their master’s degree and a Washington state teaching certificate. 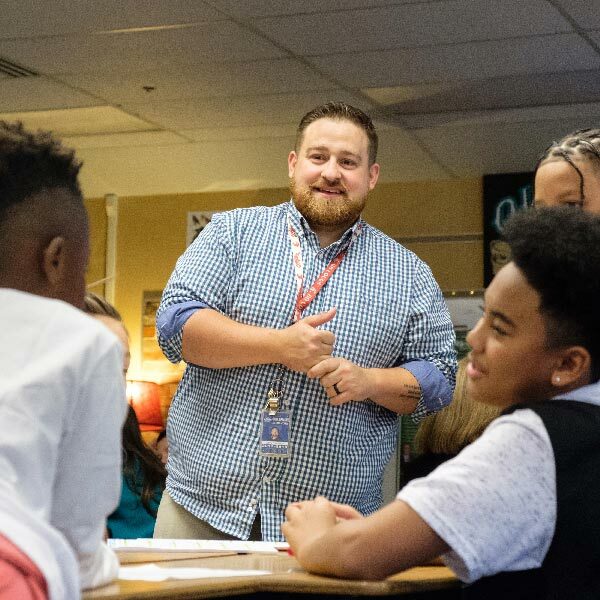 “I feel like all the professors really understood what it was like in the classroom,” said Cook, who teaches at Baker Middle School in Tacoma. “Education changes, students change, demographics change. That’s by design, says Mary Jo Larsen, assistant dean of the university’s education department. Many of them also supervise student teachers in the program, offering graduate students a chance to build professional relationships that can lead to employment. 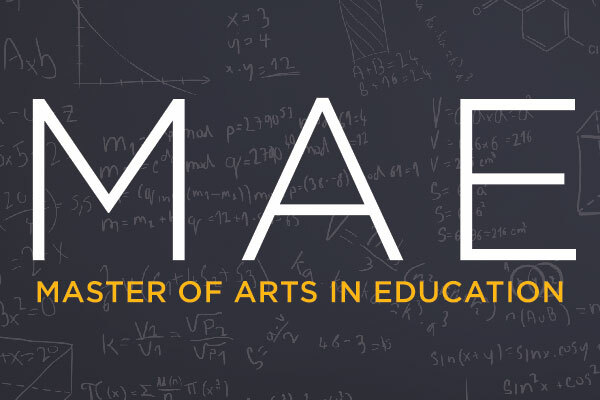 PLU’s one-year Master of Arts in Education program runs from mid-June through the following June. Each cohort of graduate students begins with a summer filled with intensive coursework focused on the foundations of education. In the fall, graduate students combine coursework with a half-time teaching internship. By spring, they’re ready to launch into full-time student teaching five days a week, overseen by mentor teachers at their school and university supervisors. At the end of a year, graduate students earn their master’s degree and a Washington state teaching certificate. The program prepares teachers for careers in elementary, middle and high schools. The program attracts a variety of students, ranging in age from 22 to 50-plus. Some come straight from their undergraduate programs, while others are career-changers searching for a chance to make a difference in young people’s lives through education. “People can come in with pretty much any bachelor’s degree, as long as they have sufficient coursework in the area they want to teach,” Larsen said. In addition to the one-year master’s and certification program, PLU also offers what’s known as an “alternative route” certification program. It’s designed for people who may already have classroom experiences as paraeducators, or for professionals with math or science expertise who want to teach in those high-demand fields. Kennedy entered PLU with a bachelor’s degree in history from Washington State University. But after working for two years as a paraeducator, he was hooked. 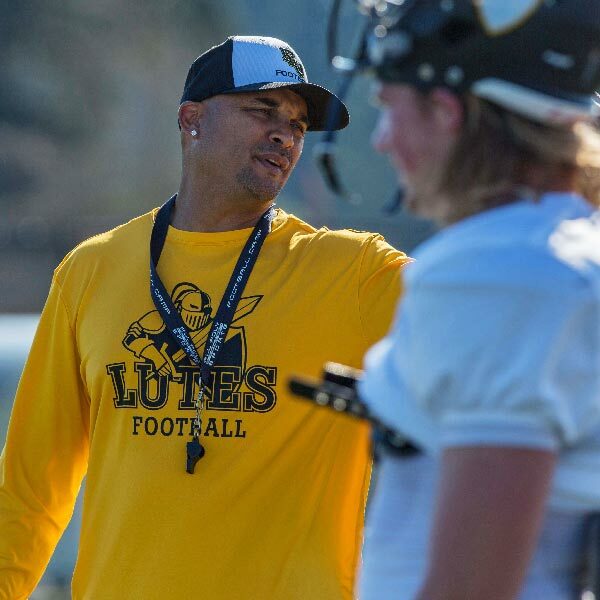 Ricky Daley was busy coaching football at Mount Tahoma High School in Tacoma and raising twins when he entered PLU’s alternative-route education program. He already had a bachelor’s degree from the University of Hawaii, where he played football, and a master’s in education from Antioch University in Seattle. But he lacked Washington state teacher certification. He chose PLU’s program to earn his certification because of its flexibility that allowed him to take classes that fit his schedule. “They are willing to work with individuals and find a way to make it work,” said Daley, who earned his certification in 2016 and now teaches special education students at Mount Tahoma. He also works as an assistant football coach at PLU. Turning up for Saturday morning classes after a Friday night football game was challenging, Daley said. 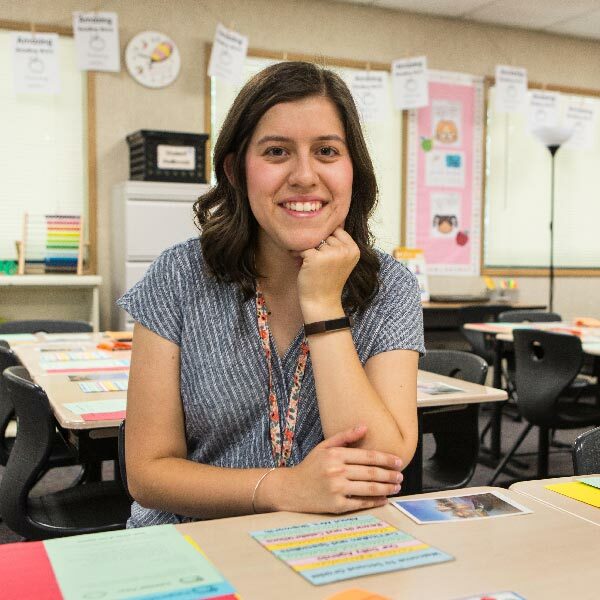 Jasmine Skipworth ’17 brims with confidence as she enters her second year of teaching at Fruitland Elementary in Puyallup. Instructors complemented textbooks and articles by presenting students with realistic classroom scenarios involving struggling students, Skipworth said. “It was very practical,” she added. Skipworth, who grew up in Graham and Puyallup, came to PLU after completing a bachelor’s degree in integrated educational studies form Chapman University in southern California. While her undergraduate degree included some observation and research in schools, it did not include state teacher certification. PLU’s graduate program allowed her to obtain a master’s degree and Washington state certification. At PLU, Skipworth recalled weekly visits to classrooms in various schools in neighboring school districts. “I see education through a social justice lens,” said Cook, a “double Lute” who also did her undergraduate work in anthropology and women’s and gender studies at PLU. Her years as a social worker — helping young refugees or youth struggling with poverty — inform her work as an educator. As a teacher in a high-poverty school, she said, there’s a definite crossover skill set. “I went into my master’s work with a limited knowledge of schools,” she said. Cook believes education is a pathway out of poverty for her students. Intensive PLU program prepares future principals.